CTSpec - Office will provide you with an efficient way to manage your view, pipeline and side data according to the latest PACP, MACP and LACP certifications. Propel your analyses! From receipt of requests to the delivery of inspection reports to the customer, CTSpec - Truck allows you to optimize the entire process of collecting, analyzing and exporting Sewer Asset Inspection Data. CTSpec – Web allows you to store, search, view, and share your inspection data with a secure web application. The Inspection On Demand platform includes CTSpec Truc, CTSpec Office and CTSpec Web. 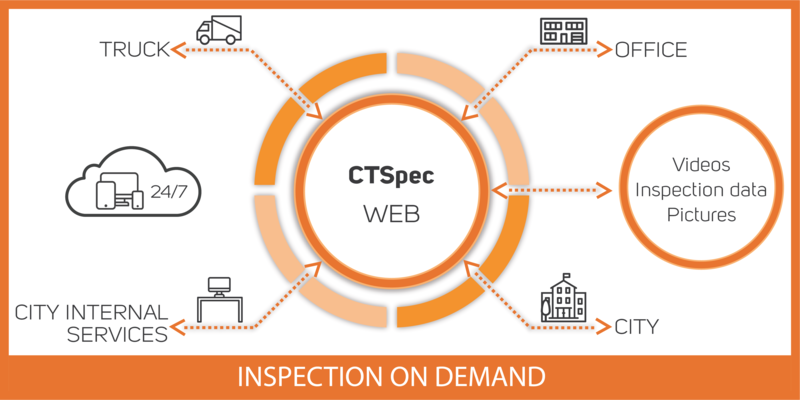 As daily inspection data is being transferred by contractors to CTSpec Web, it becomes available through an online viewer to all users who need to consult it. 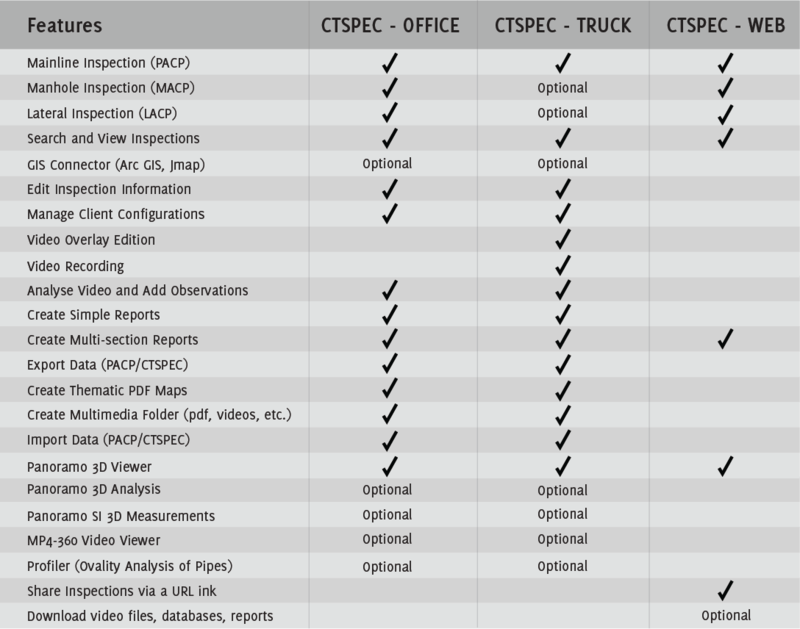 CTSpec Inspection On Demand includes the following software solutions that can be used either independently or togeter to provide a complete, comprehensive, underground network inspection experience.